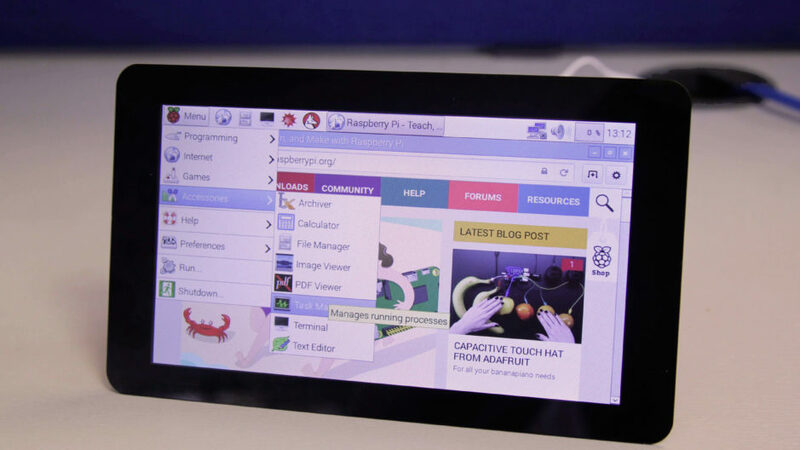 In 2015, the Raspberry Pi Foundation announced the launch of an official touchscreen for the raspberry, responding to a need long expressed by the community. At the time, we said we would do a test of the screen, but one thing leading to another, in the end we never did … So we take advantage today of our desire to diversify the content of HowToRaspberryPi to propose you our test of the touch screen of the raspberry pi. A touchscreen for the raspberry pi, to do what ? Before we look at the features of the screen, let’s look at the question of the usefulness of a touch screen for the raspberry pi and its use. 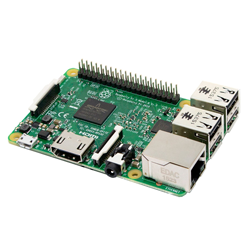 If it is possible to connect through SSH to the raspberry pi, and thus avoid the use of a screen, this does not allow to enjoy the graphical interface of the Raspberry Pi. For those of us who want to use the Raspbian interface, or whatever, the connection of a screen then often becomes the most practical solution. 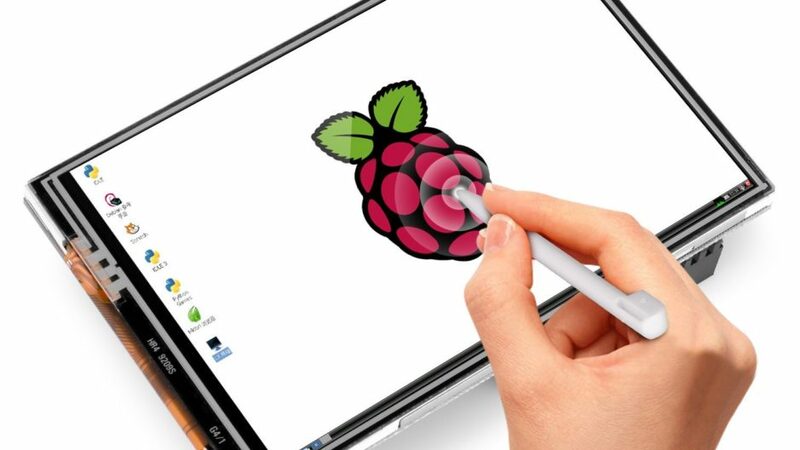 Thus, the reasons to use a touchscreen are multiple, from the use of the Raspberry Pi as a desktop, until the creation of a media-center, through a role of home automation controller. Note, however, that all of these uses do not require the same characteristics, and, if a home automation controller benefits from a small touchscreen, a media center will take advantage of a big screen (or better, a video projector) and could easily do without the tactile part. It’s up to you to see if a 7-inch touchscreen meets your needs. Where to find the screen and for what price ? Before we go to the test let’s start with an aspect as simple as important, the price of the screen and its availability. If the screen is simply available on Amazon, it is slightly more expensive than announced by the foundation, mostly beacause of fees and others taxes. 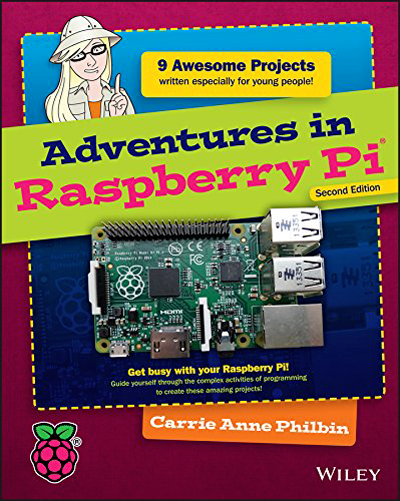 So you can buy the official touch screen of the Raspberry Pi foundation around $70 here on Amazon. For information, if this price may seem relatively high, it ultimately remains in the average of what can be found on the market. There are also unofficial screens at lower prices, for sizes ranging from 3.5 inches to 10.1 inches, but offering different technologies and a quality often slightly lower (also, drivers are usually provided and must be installed). Most unofficial touch screens use resistive rather than capacitive technology. These questions of availability processed, let’s move on to the test of the screen. Regarding technical characteristics this screen is, obviously, not to be compared with traditional PC screens and even less with TVs and other monitors of more than 20 inches. If they are demanded of perfect colors and very high resolution, here, rather a certain solidity, a pleasant use, an effective tactile and a good readability in a reduced size are expected. So these are the different points that we have focused on. For what is about the display, the screen offers 800×480 resolution and 60 FPS, all in a 7 inch format. The image is therefore fluid and perfectly legible, while the pixels, even close up, are practically invisible. Concerning the colors, impossible for us to give a test “in lab”. The colors however seem well balanced, but a little too clear. Nothing unpleasant, however, and it would tend to improve the readability of the whole. Last point, often underestimated and yet very important, the angle of view is quite honorable. The image remains relatively unchanged even while being completely on the side of the screen, and the text is perfectly legible from any angle. Side congestion, and usability, nothing to repproch to this screen. 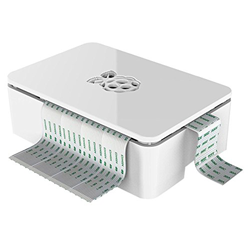 Connected to raspberry pi via ribbon cables, it is possible to screw it behind the screen to make a single block that you can then for example protect by means of a suitable box, like this one sold At Amazon. 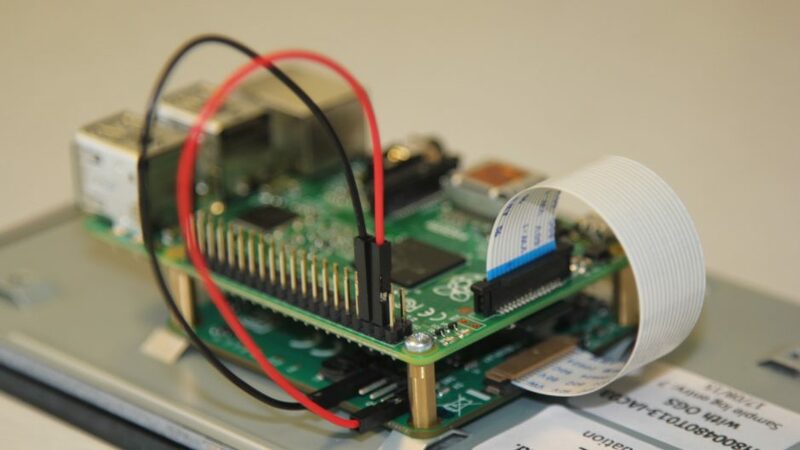 For the connections, the screen is connected to the Raspberry Pi using a ribbon cable connected to the display port, and there are several power supply modes available, enabling the possibility to power the screen via The raspberry pi, or vice versa, and using the USB or GPIO ports. Here the screen is screwed to the Raspberry Pi and both are connected via the display port and the raspberry pi powers the screen using the GPIO ports. However, if the connectivity is efficient and avoids having a cable that drags, this connection mode makes the connection / disconnection of the screen quite long, which makes the assembly quite unsuitable if the objective is to use a single screen with several Raspberry Pi, plugging / unplugging it as required. If the overall quality of the screen is good, it is on the touch screen that it actually pulls out of the game. Indeed, if many touch screens for raspberry pi are based on a resistive technology (therefore rather adapted To a stylus), the official screen offers a capacitive technology of very good quality. The detection is very good, both accurate and fluid. The screen is multi-touch and responds perfectly to the usual operations (zoom, right click, etc.). Only default, Raspbian does not offer (at least by default), virtual keyboard. 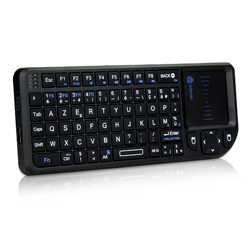 If the touchpad will easily replace the mouse in most tasks, you will still need to plug in a physical keyboard, or install a virtual keyboard (which troubleshoot for temporary use, but is far from viable for intensive use). Overall, our opinion on this screen is very positive. We use it relatively regularly, most often to do our tests when we write tutorials. Concerning image and quality, the screen fulfills its role perfectly and offers good performance. 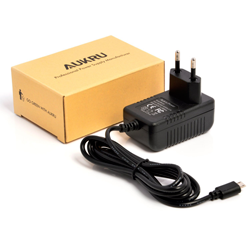 As for the tactile, it has always given us full satisfaction and offers a very pleasant use experience. Only problem for us, if the connections of this screen are very suitable for a daily use, they prove on the other hand impractical for those who wish to change regularly the machine connected to the screen. If you want to create a controller for your media center, a screen for a home automation or surveillance system, a home tablet, or a simple interface for a terminal or an application, this screen is absolutely perfect and you are certain to have no issues with it. 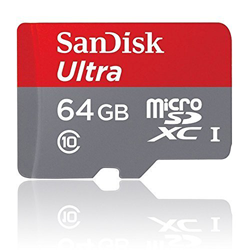 You can find it here at Amazon about $ 70. If you really want to do it in the ultra portable, then you should rather take a look to 3.5-inch screens like this, making the same size as the Raspberry Pi, and therefore able to integrate directly into its case . Moreover, if your goal is to mount a desktop computer you should rather look directly to the HDMI screens. If your goal is to mount a laptop at a lower cost, our advice would be to look directly for real laptops, choosing somewhat dated machines and replacing Windows by Ubuntu, you will easily manage to lower prices all While maintaining very good performances. We hope that this test will have been useful to you and helped you make your choice. Do not hesitate to tell us if you want to see more test on the site, and possibly on which products. 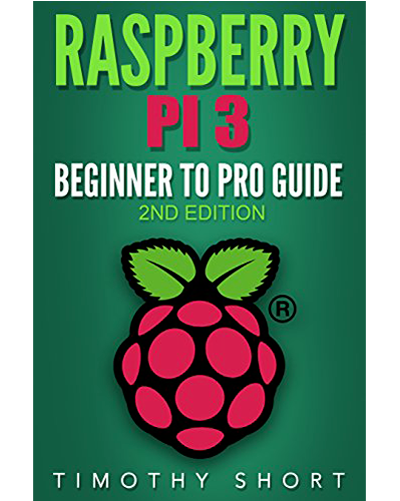 And if you have trouble figuring out which peripherals to choose for your raspberry pi, then take a look at our guide!